In the early days of man’s existence, while Adam and his wife were still living in the Garden of Eden, God came to them and walked and talked with them in the cool of the day. His presence was real to them because they spent time with Him communing during the day. The knew His presence; they heard His voice because they walked and talked with Him regularly. 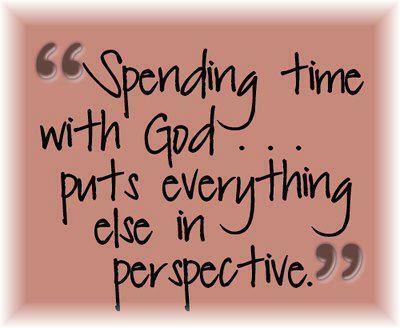 All throughout the Bible we can read of people interacting with God through relationship; walking and talking with Him. God hasn’t changed; He still wants to commune with His people. When God’s man sinned in the Garden it affected their relationship with God. Sin cuts us off from the presence of God and places a barrier between us and Him. Genesis 3:22-24 Then the LORD God said, “Behold, the man has become like one of Us, to know good and evil. And now, lest he put out his hand and take also of the tree of life, and eat, and live forever”–therefore the LORD God sent him out of the garden of Eden to till the ground from which he was taken. So He drove out the man; and He placed cherubim at the east of the garden of Eden, and a flaming sword which turned every way, to guard the way to the tree of life. Sin caused the relationship between God and man to be distanced; broken. Man could no longer walk and talk in close relationship with His Creator. Sin changes your life and your ability to relate to God. It breaks the relationship and causes a gulf to form that keeps you out of God’s presence. Sin kills relationships! Sin entered mankind and destroyed his ability to commune with God through the sin of Adam and Eve in the Garden of Eden. That one sin brought sin into the bloodline of all humanity. Romans 5:12-21 Therefore, just as through one man sin entered the world, and death through sin, and thus-death spread to all men, because all sinned–(For until the law sin was in the world, but sin is not imputed when there is no law, Nevertheless death reigned from Adam to Moses, even over those who had not sinned according to the likeness of the transgression of Adam, who is a type of Him who was to come. But the free gift is not like the offense. For if by the one man’s offense many died, much more the grace of God and the gift by the grace of the one Man, Jesus Christ, abounded to many. And the gift is not like that which came through the one who sinned. For the judgment which came from one offense resulted in condemnation, but the free gift which came from many offenses resulted in justification. For if by the one man’s offense death reigned through the one, much more those who receive abundance of grace and of the gift of righteousness will reign in life through the One, Jesus Christ.) Therefore, as through one man’s offense judgment came to all men, resulting in condemnation, even so through one Man’s righteous act the free gift came to all men, resulting in justification of life. For as by one man’s disobedience many were made sinners, so also by one Man’s obedience many will be made righteous. Moreover the law entered that the offense might abound. But where sin abounded, grace abounded much more, so that as sin reigned in death, even so grace might reign through righteousness to eternal life through Jesus Christ our Lord. Since sin entered the human race through Adam and our relationship with God was severed through that sin, we were no longer able to communicate with God in close relationship because sin drives us out of the presence of God. It was imperative that because one man sinned and caused the break in our relationship with our God that in order for the payment to be made to restore the relationship it would have to be done by a sinless man. A man sinned and broke the communion with God so another man who was without sin would have to die to pay the penalty for sin and thus restore man to a right relationship with God. Jesus was that man. Sin travels down through the bloodline so all who are born in humanity are born with sin already in their lives. That natural bent to sin then causes man to live a life of sinful choices so man becomes a sinner both by birth and choice. Only a sinless man by birth could pay the price for man’s sin. The bloodline of man comes through the father so only because Jesus was conceived of the Holy Spirit could He be born without the sin nature of man. Jesus died to reconnect man with His God. He paid the price for the sin that separated man from God in the Garden of Eden. Jesus reconciled man to God so that we can, once again, live in communion with our God. Romans 5:6-10 For when we were still without strength, in due time Christ died for the ungodly. For scarcely for a righteous man will one die; yet perhaps for a good man someone would even dare to die. But God demonstrates His own love toward us, in that while we were still sinners, Christ died for us. Much more then, having now been justified by His blood, we shall be saved from wrath through Him. For if we were enemies we were reconciled to God through the death of His Son, much more, having been reconciled, we shall be saved by His life. In order to appropriate that payment for sin into your own life personally, you must understand that the blood of Jesus has to be applied to your life for the payment for your own sin. He died for all mankind, but for the reconciliation to be complete for a person it must be made your own; it must be personalized. Romans 10:6-10 But the righteousness of faith speaks in this way, “Do not say in your heart, ‘Who will ascend into heaven?’” (that is, to bring Christ down from above) or, “’Who will descend into the abyss?’” (that is, to bring Christ up from the dead). But what does it say? “The word is near you, in your mouth and in your heart” (that is, the word of faith which we preach): that if you confess with your mouth the Lord Jesus and believe in your heart that God has raised Him from the dead, you will be saved. For with the heart one believes unto righteousness, and with the mouth confession is made unto salvation. Personalizing what Jesus did for you in payment for your sin is simply believing in your heart that He did that; that He is the Son of God who died for the sin of mankind, and confessing Him as your own personal Lord and Savior. That is calling on the Lord; making Him the payment for your sin so that your relationship with God can be restored; reconciled and re-connected. You do that through prayer. If you have never made Jesus your own personal Lord and Savior and would like to pray to have your sin forgiven and your relationship with the Father reconciled please pray this prayer with me and mean it in your heart. Father God, I believe that my sin separates me from You. I believe that Jesus died to pay the payment for my sin so that I can be restored in my relationship with You. I believe that Jesus is Your Son and that He died for me, personally, so that I can live my life in right relationship with You. I believe that You raised Him from the dead and that He will live in me through the presence of His Spirit restoring me to have communion with You. I receive the payment that Jesus paid for my sin and ask You to save me and restore me to right relationship with You. Lord Jesus, I ask You to come into my life, into my heart to live Your life through me and be my own personal Lord. I receive You as my Savior and Lord and confess that I will live my life for You from this moment on. Thank You for saving me. I receive the indwelling Spirit of God; the Spirit of Jesus as a seal upon my heart that guarantees that I am Yours. Thank You, Holy Spirit for living within me to lead me and guide me through life and to fellowship with me through prayer. In Jesus’ name I pray. Amen. If you prayed that prayer and received Jesus as your own personal Savior and Lord you now have eternal life through the redemption that He provided for you on the cross of Calvary. You are now a part of God’s family and have the full rights of a child of God. You have the ability to commune with the Father once again through the presence of His Spirit within you. Through spending time with Him in prayer you can commune with God and hear His voice as He speaks with you through your fellowship with His Spirit. You have been restored to Him! God has always wanted to have communion with His people. He wants us to walk and talk with Him. That has been His plan from the beginning of the creation of mankind. He longs to share His heart with you and have you share your heart with Him. It is possible through salvation to have a living and vital relationship with the One who created you and loves you the most! What is keeping you from spending time with Him? Is there unconfessed sin in your life that distances you from Him? If so, confess it quickly so the channel of communication between you and Him can be opened once again. Even though Jesus paid for your redemption there are still times, as born again believers, that we sin and that sin hinders our ability to come boldly into His presence. We must confess it and be cleansed regularly! Learn to live your life with a short sin account with God. When we quickly confess that we have sinned we then are able to come boldly into His presence to commune with Him. It is as we commune with Him, through His Spirit, that we find the guidance that we need for our lives. It is in His presence as we fellowship with Him that we find joy and the pleasures of a life lived in communion with God. That’s His plan for us; to be connected with Him through the relationship that He, Himself, paid for with His very own blood. Will you take the time to get to know Him? Will you develop the one relationship that pays eternal benefits; your relationship with God? It is developed through prayer; through communion with the Holy Spirit as you share your heart with Him and listen as He speaks words of love and acceptance to you; words of guidance and of leadership in how He wants you to live. The Spirit of God is waiting for you to come to Him and receive! Father, I thank You for the payment You made for my sin. I receive Your forgiveness and the reconciliation that Jesus provided for me on the cross of Calvary. I long to commune with You Holy Spirit, to know You more, to hear Your voice more completely and to fellowship with You. Thank You for listening as I pray and for speaking to my heart as I listen for Your voice. I pray that those who have never heard Your voice clearly will begin to seek a deeper relationship with You. I pray that they will come before You and wait until You speak to them, not rushing in with their list of requests and then leaving before You have a chance to respond to them. I pray that we all will hunger and thirst for a deeper walk with You. Thank You, Father, for honoring our requests to live with You and share in fellowship with You. In Jesus’ name I pray. Amen. Father, I thank You for living within me. Thank You for leading the way each day for me. I pray that You will forgive me for the times I’ve chosen to go my own way and have ignored Your directions. I know that You created me for Yourself, that You might fill me with Your thoughts and desires so I might fulfill the plan that You have for my life. Please help me to choose Your ways over my own. Thank You for filling me with Your very presence. It’s in You that I live and move and have my being. I was made for You to inhabit and I thank You for filling my spirit with Your Spirit. May You be glorified in me today, Lord Jesus! Romans 15:5-7 Now may the God of patience and comfort grant you to be like-minded toward one another, according to Christ Jesus, that you may with one mind and one mouth glorify the God and Father of our Lord Jesus Christ. Therefore receive one another, just as Christ also received us, to the glory of God. One of the things that I’ve experienced through the years as I’ve moved through various denominations on both the conservative side of Christianity to the more subjective, charismatic groups is that there are doctrines and theologies that separate Christians. I don’t believe God intended for His family to be separated over differences in doctrines. Leading up to this portion of Scripture we see that the Christians in that day and time were separated over what they ate. Some of them felt they could eat everything and others though they could only eat vegetables. Some of them felt they could eat food that had been offered to idols and some didn’t. The ones who felt the freedom to eat anything they wanted were causing the others to stumble in their walk with the Lord because they ate before them without having respect for their feelings. We are all at different places in our walk with the Lord. No one is above the other and each one deserves the respect that we would want to receive ourselves. The important thing to remember is to walk in love towards each other by doing and saying what would edify, or build up, the other believer. So many times we are determined to do what we think is right or okay simply because we want to prove a point to another person that it’s okay to live the way we want. Friends, that’s not walking in love. Love covers a multitude of sins. My mother used to tell me that honey draws more flies than vinegar. In other words, if you want to draw people to yourself in order to share the love of God with them, don’t attack them with your legalistic view of God’s word by adamantly speaking your mind about theological points or doctrinal issues. As long as we have each received Jesus as Savior and Lord we belong to the same family; we are brothers and sisters in Christ. Show some grace for where the other person is spiritually. Some are weaker than others, but one of the quickest way to drive a wedge between two people is to act like you are more spiritual or more knowledgeable than them. God says that the only thing we owe to another individual is to love him. Whew! That takes a lot of responsibility off of me! You mean, I am not responsible for another person’s spirituality? No, that’s the job of the Holy Spirit. My job is to love them and in doing that present an avenue by which the Holy Spirit has an opportunity to point out changes that need to be made in their lives as well as in the way they view God’s word. There’s too much separation in the Body of Christ. 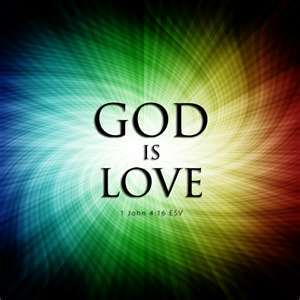 1 John 4:7-11 Beloved, let us love one another, for love is of God; and everyone who loves is born of God and knows God. He who does not love does not know God, for God is love. In this the love of God was manifested toward us, that God has sent His only begotten Son into the world, that we might live through Him. In this is love, not that we loved God, but that He loved us and sent His Son to be the propitiation for our sins. Beloved, if God so loved us, we also ought to love one another. Propitiation – Greek word hilasmos – according to Strong’s concordance means Christ, through His sacrificial death, appeased the wrath of God on account of sin. It means that the payment for our sin was paid by the blood of Jesus and through the atoning death of Christ, God can be merciful to the sinner who believes in Him, and reconciliation is effected. Jesus, through His love for us even in our most sinful state, paid the price for us to be a part of the family of God. He received us when we were at our worst, and paid the price required for us to be set free from sin and the consequences of it. It is because of His love for us that we can love others and He asks us to do that; to receive others as He has received us. Romans 5:6-8 For when we were still without strength, in due time Christ died for the ungodly. For scarcely for a righteous man will one die; yet perhaps for a good man someone would even dare to die. But God demonstrates His own love toward us, in that while we were still sinners, Christ died for us. At our very worst, Christ died for us! He loved us so much that He received us in our sinful state and purchased our redemption. He saw the potential in us to be His children, walking and talking like Him, conformed to His image and likeness. It is in looking at Him and viewing others through that same attitude of love that He would ask us to love others. There will always be disagreements because each of us has an opinion, but the important thing to ask ourselves is: “Will I lay aside my opinion to show the love of Christ to another individual?” This is not to say that we shouldn’t take opportunities to speak the truth in love to another individual. That is to be done at the prompting of the Spirit and always in love, seasoned with grace and in a way that the other person is edified, or built up. It is through being like-minded, treating each other with love that the world will see that we are Christ’s disciples. They will know us by the love we share with each other. My friends, are you quick to point out that you are right and another is wrong? Do you become easily offended when others don’t agree with your point of view? The quickest way to deal with a lack of love for another is to understand more fully God’s love for you. When you have experienced love then you can pass it on to another. When you have received God’s forgiveness and grace you have more compassion for those who stand in need of that same forgiveness and grace from you. God’s love is resident within us through His Spirit who lives in us. That word for “love” is the Greek word “agape” and it means an undefeatable benevolence and unconquerable goodwill that always seeks the highest good of the other person, no matter what he does. It is the self-giving love that gives freely without asking anything in return, and does not consider the worth of its object. Agape is a love by choice. It chooses to love above and beyond the feelings that you might have at the moment. That’s God’s kind of love; the love that He asks us to show to those around us. The bottom line is this: we have that love within us through the Holy Spirit, but it is our choice to release it or hold it in. We can dam it up or let it flow freely from us. Jesus told His disciples as they were going out to minister to the lost sheep of Israel that they would encounter people as wolves in their midst, but as they had freely received from God the delivering and healing power of Jesus Christ that they were to freely give it away. Father, I thank You for the love that You have shown me through the blood of Jesus; that sacrifice that He made on my behalf because of the great love that You had for me. I pray that I will pass that love on to others, seeing them as better than me and not holding anything against them because they might not see things as I see them. Likewise, Father, I would ask that others would receive me as You have received me, that we might walk together as brothers and sisters in Christ, for the common good of Your kingdom’s work. 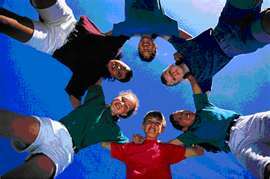 Father, I pray that we would all hold each other in high esteem and place the interests of the others before our own. Thank You, Father, for placing Your love within us through Your Spirit that lives in our hearts. Help us, now, to release that love and let it flow from us to those around us. In Jesus’ name I pray. Amen. I’m fully convinced that we have no idea of the potential that is locked up inside of each one of us until we have to draw on the strength that God has placed within us. He has placed inside of each one of us His ability to accomplish the plan that He has for our lives and sometimes that requires what we feel is supernatural ability. It is only as we step out in faith and do what we think we can’t do that we experience His ability within us to succeed. Abraham thought when God told him he would be the Father of many nations that it was a total impossibility but he placed his trust in God to do what only God could do. He had to step out in faith and do his part, but God worked the miracle through him. The potential to create a child was within him all the time, but until He believed God for it, it didn’t happen. Romans 4:18-21 NLT When God promised Abraham that he would become the father of many nations, Abraham believed him. God had also said, “Your descendants will be as numerous as the stars,” even though such a promise seemed utterly impossible! And Abraham’s faith did not weaken, even though he knew that he was too old to be a father at the age of one hundred and that Sarah, his wife, had never been able to have children. Abraham never wavered in believing God’s promise. 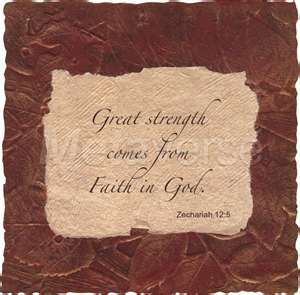 In fact, his faith grew stronger, and in this he brought glory to God. He was absolutely convinced that God was able to do anything he promised. Abraham knew that if God promised something that it didn’t matter how impossible it looked, He would do it. How many times have you been presented with an impossible situation that you knew you couldn’t do on your own? 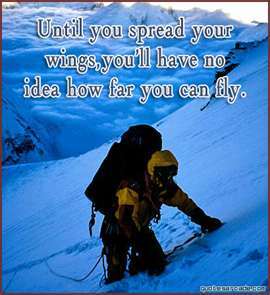 It’s in those times that as we spread our wings to fly we find the wind of God’s Spirit gets under us and carries us to the place that we need to go. It’s that dependence on the Lord that moves us from one place to the other. 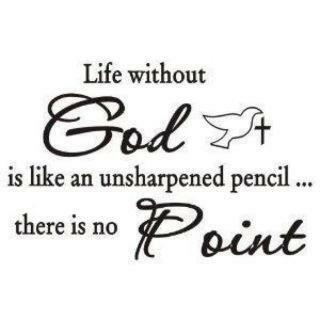 God is the God of impossibilities! Zechariah 12:5 NLT And the clans of Judah will say to themselves, ‘The people of Jerusalem have found strength in the LORD Almighty, their God. It is only as we abide, or live in Jesus, that we can unlock the potential that God has placed within us. He is the vine and we are the branches. The branch gets it’s nourishment from the vine. We draw our strength and nourishment from our relationship with the Lord. I woke up this morning with this phrase running through my mind: “Much prayer = Much power”! It is through interaction with Him through prayer and Bible study that we are filled with the ability to do all things. He is the Power Source and we must plug ourselves in to be able to live the way He wants us to live. Paul put it this way in Philippians 4:13: I can do all things through Christ who strengthens me. 1 Corinthians 14:10 says: There are, it may be, so many kinds of languages in the world, and none of them is without significance. Every voice that you hear has some significance of it’s own. There’s the voice of the Holy Spirit who will always lead you to Christ Jesus and the ability to succeed in the impossible. Then there’s the voice of the enemy, or the devil, that will always bring condemnation, negative thinking, fear and defeat. He always leads you away from the Lord. And then there is your own voice that always wants to please itself. The voice of the flesh cries out for self-gratification. The voice of the world wants to pull you away from what’s right and influence you to go along it’s way. Your friends are there to put in their opinion as well. But it’s the voice that you listen to the most that you will follow. It is as you spend time in fellowship with the Holy Spirit through your relationship with Jesus that you will learn the voice to follow. If you follow His voice He will take you into the realm of the impossible. For without Him, you can do nothing! Isaiah 30:21 Your ears shall hear a word behind you, saying, “This is the way, walk in it,” Whenever you turn to the right hand, Or whenever you turn to the left. Father, I thank You for the voice of Your Spirit that leads us and guides us and gives us the strength to do those things that look to us as impossibilities. Thank You for Your supernatural ability within us to do over and above what we think we can do. Thank You for beginning the good work in us and for bringing it to completion. You are working in each one of us as we grow in our relationship with Jesus. Thank You for ushering us into the realm of the impossible. 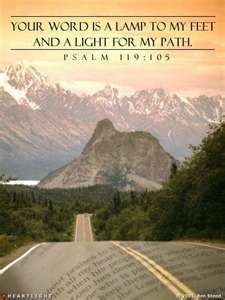 I pray for my friends, Father, that You will help them to look unto Jesus who is the author and finisher of their faith. I pray that they will depend on Your Spirit to give them the ability to do what they think they can’t do. Lord, You are able to show them how to get things done in a way that they would not think as possible. Thank You, Lord, for showing them the supernatural ability that You have placed within them. In Jesus’ name I pray. Amen. What’s In The Heart Becomes Reality! Orthodox Judaism had many rules and regulations that people were to follow to be acceptable according to the Law. One of these was ritual hand washing. It dated back to Exodus 30:17-21 where God instructed Moses to put a laver in the Tabernacle of meeting for Aaron and his sons to wash their hands and feet before going into the Tabernacle or when they would come near the altar to minister. When the Temple was destroyed, the table in a home came to represent the Temple alter. The bread placed on it symbolized the offerings that were once brought to the Priests. The Sages, who believed that the Temple and the Priesthood would be restored, did not want the practice of washing hands before handling an offering or performing a ritual to be forgotten, and so washing the hands before a meal was strictly enforced. At mealtime there were two ritual washings that were done; one before the meal known as “first waters” and one after the meal known as “last waters”. The scribes and Pharisees expected all Jews to adhere to the Law. When Jesus’ disciples didn’t wash their hands they questioned Jesus as to why. Jesus’ response to the Pharisees and scribes was that it wasn’t what entered the mouth that defiled a person, but it was what was in their hearts that came out that defiled them. The Pharisees and scribes placed more importance on the performance of the ritual of God’s Laws than the heart relationship to God. They were always trying to force people into ritualistic ways of keeping the Law so they could appear to be religious. This was just another way to try to prove that Jesus wasn’t who He said He was, the Son of God because He didn’t adhere to the Law. 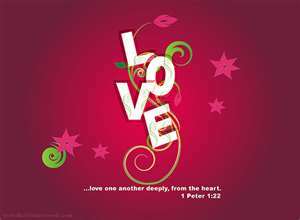 What Jesus was saying to them was that the attitudes of the heart when acted upon reveal where a person is spiritually. What is in abundance in the heart will come out through the actions of the person and when it is something bad that is what identifies where the person is; whether spiritual or carnal. The Greek word for “thoughts” in that verse means inward reasonings, consideration and deliberation, turning thoughts over in the mind. You see, the things that defile a person such as murders, adulteries, fornications, thefts, false witness and blasphemies all start with the thoughts. It is as those thoughts are mulled over in the mind, reasoned out as the thing to do, considered and deliberated on that they then become actions. People usually don’t just get up one morning and decide to go out and commit a murder, or some sexual act, or theft, or a false witness against someone, or a blasphemy against the Lord. They usually fantasize about them, justifying them in their minds before they actually commit them. It is as they grow in the mind, or the heart, that they eventually carry out what they’ve been thinking about. Jesus said in Matthew 12:34 that it is “out of the abundance of the heart the mouth speaks.” As things get bigger in the heart the mouth will speak them out and then the body follows with the action. If the action of what is in abundance in the heart and spoken out the mouth can be viewed in the negative, it also can have a positive effect. Yesterday we talked about abiding in the word and knowing the truth and being set free by that truth. If we put the word of God into our hearts in abundance then that is what will come out our mouths. It is as the word is developed in the heart and spoken out the mouth that the physical man will follow through in acting. The word of God brings freedom when mulled over in the mind, spoken of and acted on. God told Joshua to not let the word of God depart from his mouth. In other words, Joshua, don’t stop talking about God’s word. Meditate on it day and night and do what it says. Then you will be prosperous and successful. Meditate – Hebrew word hagah – Strong’s #1897 – means to reflect; to moan, to mutter; to ponder; to make a quiet sound such as sighing; to meditate or contemplate something as one repeats the words. Hagah represents something quite unlike the English “meditation,” which may be a mental exercise only. In Hebrew thought, to meditate upon the Scriptures is to quietly repeat them in a soft, droning sound, while utterly abandoning outside distractions. So, when we think of meditating on something, we are thinking about it, pondering over it and using our mind only in reflecting on it. But the Hebrew thought for meditation includes all of that plus speaking it out and repeating it over and over. Seeing, thinking and speaking the word would be the Hebrew thought for meditation. It is as you meditate on God’s word, thinking of it, reflecting on it’s meaning, and repeating it over and over that faith arises within your heart to believe what God has said in that particular portion of Scripture. This is the positive side of what Jesus was saying in Matthew 15:17-20. The evil thoughts in the person’s heart when meditated upon brought out the actions that defiled the person, but when the good thoughts of God’s word are meditated upon and acted upon the good that is within that Word becomes a reality for the positive in that person’s life. When you put away from you the filthiness and wickedness that defiles you and instead take into your hearts the word of God, it will bring salvation to your souls. The negative is then turned into a positive in your life and you become a doer of what you have heard instead of just a hearer. James encourages us to act on the word of God that we have heard. It strengthens your inner man! When our focus is on the word of God and we take the time to deposit it into our hearts, that word becomes life and health to our flesh. The Hebrew word for “health” there is “marpe” and it means restoration of health, remedy, cure, medicine, tranquility, deliverance, and refreshing. The Word of God when meditated upon, spoken out of the mouth and acted upon brings health to your physical man. You want to get well from sickness and disease that has attacked your body? Then start taking the Word of God just like you would a prescription medication. Deposit into your heart the scriptures that speak of healing and wholeness, speak them out your mouth and then walk out your healing. Begin to see yourself well, speak the solution instead of the problem and act like a healed person. As you meditate on the scriptures you will find faith rising up within you and the word of God will become more real to you. When it becomes real in your heart you will begin to speak what the word says instead of what your symptoms are or what your doctor’s report says. I’m not saying that you deny the illness; but the diagnosis takes a back seat to what the word of God says. I’m not advising you to quit taking your medication, but instead begin to pray over it declaring that it will do what it is designed to do in making you well and that God’s word says you are the healed of the Lord. Your focus changes from seeing how big the problem is to seeing how big your God is. This same principle applies to whatever need you have. If it is financial lack you begin to deposit within your heart the scriptures on God’s provision for your finances. Dwell or meditate on them, speak them, and then act on them, making good financial decisions and watch your finances change. God is for you, not against you. He brings healing and wholeness into people’s finances all the time. Word with Him to bring healing to the area of your life where it is needed. God’s word will work for you if you will work with it! There are scriptures to meet every need that you will ever have. Father, I thank You for Your word! I pray today that You will show my friends the word of God that they need to meet the need in their lives. Father, You have equipped us for success through Your word. May we take it like a prescription medication so it will have the effect of healing in our lives. Thank You, for revealing Your word to us so we can be set free. May we abide in it until it becomes the life that we need right now to meet our needs. In Jesus’ name I pray. Amen.